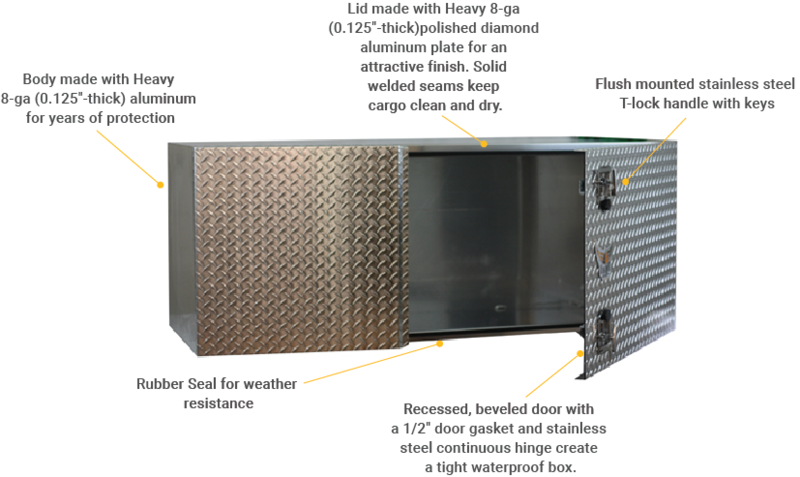 Underbody truck boxes protect your tools and equipment while providing easy access to them when you need it. Available in a variety of sizes and style. Lid made with Heavy 8-ga (0.125"-thick) polished diamond aluminum plate for an attractive finish. Note: All boxes need to be installed with appropriate mounting brackets.